It is Day 5 Everyone! And damn it all if we don’t have an AMAZING interview for you fine folks today. 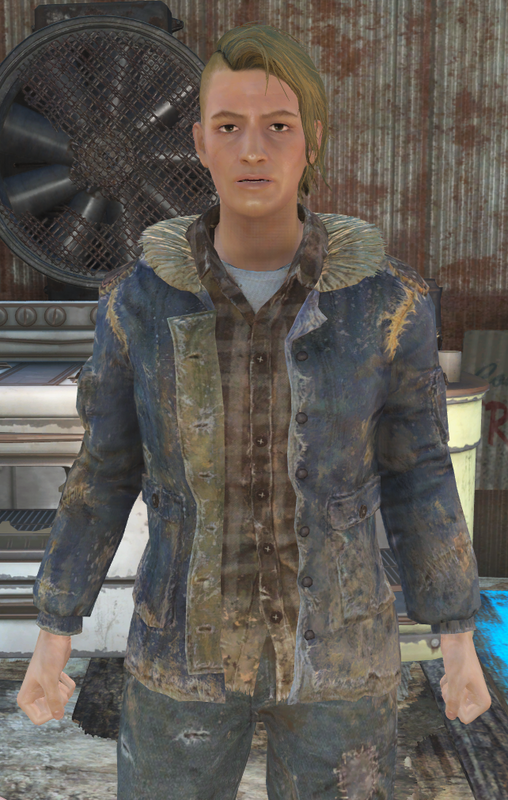 Not only do we have a woman featured today who has done some amazing voice over work on our beloved Fallout 4 and more video games than you could shake a dead molerat at, but she has also personally proven herself to be a genuinely kind person by nature. Jessica Straus was kind enough to go far more in depth on an interview with us than I could ever ask a person to do. And I could not be more excited about it. In the voice over world, Jessica is one of the giants of the industry. 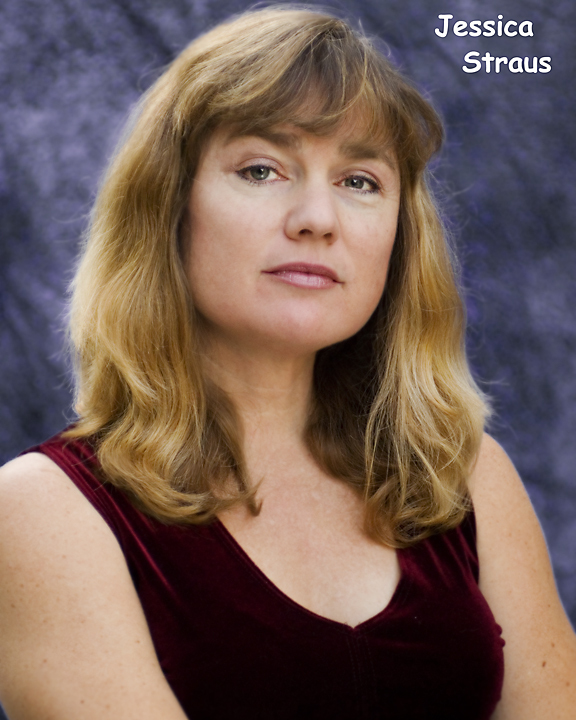 Beyond the Fallout series, she has worked on a plethora of different video games that I am certain you have played, as they are some of the greats. She has also performed magically in the world of anime and other animated series. She is just one of the greatest in the business, and most importantly to us, she is an extremely nice and wonderful person. She gave us not only one of our favorite and longest interviews for this series, but one of our favorite interviews we have ever had on Trainwreck’d Society. When an interviewee is this enthusiastic, it is always a real treat. So, where I would normally implore you all to please enjoy some words with Jessica Straus, I know I don’t really have to. I can guarantee you are going to LOVE this interview. So have it folks! How did you find yourself working so continuously on voice over projects? How did it all begin, and eventually come to the fruition that it is for you today? What were some of your earliest influences? I got my first voice over agent soon after, took commercial VO classes with Dave Williams and made my first commercial demo with Nick Omana and the rest is history. Both of these men are icons in the VO business. Nick also gave me some of my early work on an educational DVD series where I voiced a bunch of characters, including my first little boy voice. After a few jobs and VO training and a little marketing, voice over work started flowing in, especially after I got involved in dubbing for Anime. I was cast in my first Anime series, I’m Gonna Be an Angel via an ad in Drama Logue. Things have definitely changed in the voice over business since I got started many years ago, so the way I got in may not be the route everyone takes these days. Everyone in VO has different, interesting stories of how they started their careers. In my case, I really think my many years of theater training and performance experience helped me leap into a successful voice over career more easily. The really cool thing about voice over work in games and animation is that you get to play roles you would never be cast in for on-camera jobs, or even on stage. Being a character actress, I loved using my voice to explore roles of all ages, genders, in-human and/or weird creatures, many of which were really different from myself. On camera focuses on the acting, but also how you look. Voice over just focuses on the acting. Period. I feel very grateful and honored to continue to work in such a fun job, filled with so many incredibly talented and friendly people. And, listening to the brilliant work of my many co-workers has and will always continue to inspire and influence my work in the industry. What do you enjoy about this line of work? What keeps the job exciting for you? When talking about voice acting, I like to think of the analogy of jumping out of an airplane and never knowing exactly where you are going to land. Which is exciting, a little scary at first, but oh so cool when you fly! Being an adventurous person, I love this kind of feeling. Free-fall. Improvisation is an essential voice over skill, especially for work in games. You rarely if ever get the script in advance these days, and once I work with a director and establish what they want for the character in a session, I really enjoy seeing where that character goes, being surprised by their twists and turns in the story line and really just letting the character take over. That’s the flying part…when the character is in charge, and I am surprised by what they do, not over-thinking it as an actress. Just being the character. I like it when characters make me laugh, or feel something, or experience a part of being human that didn’t know about before. It’s just…well, exciting & fun!! You have done voice over work for a great abundance of video games. Just SO many great ones too. So from your technical expertise, what is the major difference between doing voice over work on a video game as opposed to an animated series? And how are they similar, besides the obvious of using your great voice to portray a character? They are similar because both require you to be in character often for many hours, take direction well, change your emotions on a dime, play multiple characters within a project (love that part!) and have well-honed acting/improvisational skills. They both require me to access the little kid in me and play full out! In the end, voice over in games and animation is really just me using my imagination and playing around, like when I was a kid. The differences between animation and games are many. Games scripts are not given out in advance because of NDAs (Non-Disclosure Agreement). Secrecy in the gaming industry, and the incredibly large casts and lengthy scripts make it impossible for them to send all your lines in advance. Even in a session, I may never know who I’m talking to as only my lines are on the page. I often have to say one line several different ways, and come up with them quickly on the spot. Your character can talk for a very, very, long time in a game these days. If you are doing a lead, 4 hours is the norm for one session, sometimes longer, and there are often multiple sessions. So, you are talking for 4 hours straight with only a few breaks. I think games can also be more vocally challenging sometimes because so many of them are fight oriented – so all the war cries, death screams, and battle lines can be vocally taxing. Lots of stamina and quick improvisational skills are needed for games. In animation, there are also NDA’s (Non Disclosure Agreement) involved, however, you often get the script in advance. The sessions can be long, but sometimes you get to work with other voice over actors and play off them, which is so great! Thus, there are times when you can rest your voice in a session. While in games, you usually are just by yourself in the booth, imagining that you are talking to someone. In general, the scripts in animation, unless you are doing a movie, are much shorter too. Animation, in my experience, needs lots of acting chops and stamina, but the storylines are more obvious when you are acting in them, as the entire script is usually right there in front of you and you’ve read it ahead of time. Often, in animation, I get more of a chance to explore my goofy, funny side, which I love! I used to draw cartoons as a kid, so my brain understands cartoons. In the end, both games and animation are places where I can play multiple roles and enter an imaginary world that can take me, and hopefully the listener, to another world where they can believe anything is possible, and bring a new perspective of life via laughter, storyline and/or heroism. Do you ever get stopped in public by avid gamers who happen to recognize your voice? The WoW players are very fanatical, and I feel like they would definitely recognize you? Is this true? I have never been stopped in public just by someone recognizing my face. I have, however, come across many fans of my work when I let people know what I do. I’ve come across avid gamers and WOW fans when talking to my bank, cell phone company, kids of friends, and of course, at conventions/public gatherings where I’ve been invited to speak about voice acting. A long time ago, I did have some kids in my neighborhood find out I worked on Blizzard games, and they drove by my house and yelled “Hello, Amazon! !”… Scared the crap out of me. He-he….I’d actually rather they didn’t do that…but I appreciate their enthusiasm. 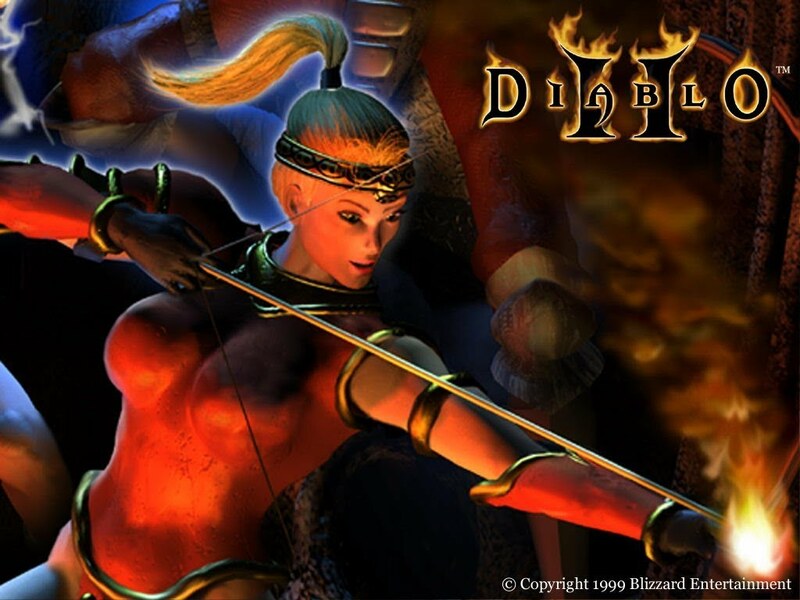 Once I was at a party with a VO cohort and she told the host that I was Amazon in Diablo 2, and the whole party found out and everyone cheered. It was my first experience with being “known” in voice over. At the time, it was a little surprising to me and I didn’t take it very seriously. I was surprised and flattered that everyone liked the character. I am still surprised by how many fans there are for voice over roles in general. Being a voice over artist is not as private as I assumed when I got first started. I think Facebook, social media, cell phones, etc. have a lot to do with that. Fans for games are everywhere these days! The same question could be asked for your work in anime, which is numerous and impressive as well. Does the anime viewing community welcome you with open arms? How has it been to be a part of this world? I have not being doing quite as many anime series of late, but I have done a lot of Anime games, which are dubbed from the original Japanese version. Playing Juri Han in Capcom’s Street Fighter IV & V is a favorite role of mine, that has received a lot of attention and enthusiasm from fans, and, is most likely my most popular role to date. Juri is a real kick in the pants to voice, and I know and love many of my cast members. There is so much great talent on the game and in the Anime world in general. My early work on Anime series really helped not only hone my acting chops for games and animation, but also taught me the often-difficult technical skill of dubbing. Anime series work was kind to me in early VO years, but since my natural voice grew to be lower and deeper over the years, I think I navigated to games for some reason. 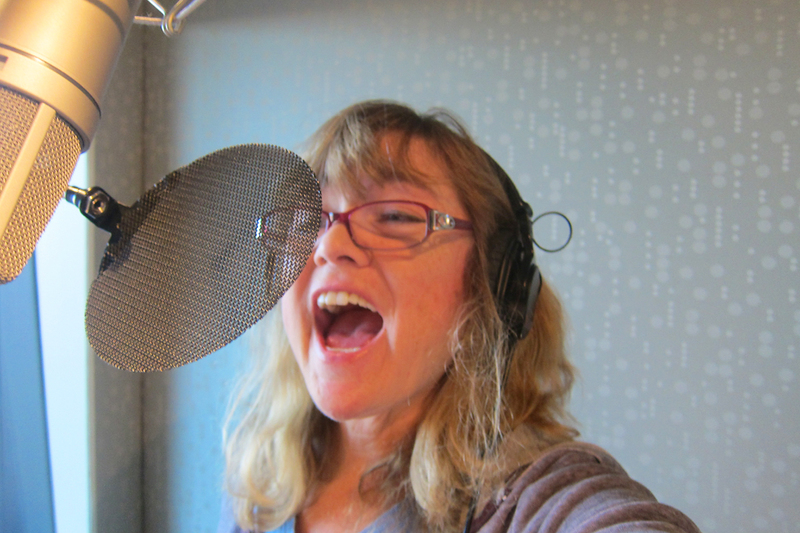 It just happened…but I still love voicing the higher voices of kids, girls, etc. That said, I just auditioned for a few roles for Anime series, so it could come back! You never know. I still have fans contact me regarding my work when I first started, from Anime series like Wolf Rain; Blue, Code Geass: R2 – Empress Tianzi, Eureka Seven – Gidget, the movie Appleseed; Deunan Knute and most recently Ikki Tousen 4 – Moukaku, to name a few….in addition to many other Anime games, including .hack//GU -Pi, Tales of Xillia – Muzet, Star Ocean: Last Hope – Myuria, and Persona 4; Saki/Hanako…along with so many titles. Note: Click on these links to access a partial list of my credits. Wikipedia may be the most accurate partial list of credits, although IMDB is also good too. While Fallout 4 is just one amongst your numerous voice over credits, it is the one that I am the most familiar with, because I am still obsessed with it and it is one of the biggest selling video games in history. So does your work on this game stick out to you at all? Was there anything exceptional you could tell us about your work on the wonderful Fallout 4? I had a blast voicing a robot with a mid-Atlantic accent! So much fun! However, when I booked the job after auditioning via my agent, I had no idea what game I was working on (I sort of guessed after the session because of the script), and discovered what the role was at the session. When I voiced her I didn’t know what she looked like or how she would fit into the game exactly. Thus, you just have to make up stuff on the spot with the guidance of a great director and script. When I found out I was definitely on “Fallout 4”, I was very honored and excited that I was part of such a popular game. Supervisor White is certainly the most unique and fun robot role I’ve ever played! I like playing automated beings with lots of personality! Have you received any type of reaction from Fallout 4 fans for your work on the game? Particularly, have you managed to watch anyone interact with your characters in the game? I’ve had fans on my FB and Twitter feeds say some very kind things. Actually, the compliments that stick out are not from fans, but from people that do casting for voice over in LA. When VO directors or peers compliment my work, it really means a lot, and I had some nice “at-a-girls!” from industry people after working on this game. It certainly is a game that was a great honor to be a part of. Incredible cast, including Courtenay Taylor, Brian Delany, Matt Mercer, Keith Farley, and Linda Carter…too many brilliant actors to name here. You can hear them all if you buy/play the game. Yes, I have seen YouTube clips of people playing the game, interacting with my character. I always enjoying knowing how those random lines I said fit into the game. I also voiced one or two other small roles on the game…but those are harder to find. What does the future hold for you? Anything new coming out soon that we can expect to hear or see you in? The lines I had to say in a session last week (NDA…really great character). Multiple hummingbirds fighting for sugar water from my feeders and dive bombing my head. Sunny skies with clear vistas in LA. A hug from my sweetheart. Thanks so much for asking me to join you! Great questions.